Google has gone shopping, spending $1.1bn on picking up some of the key Pixel team from long-time Android partner HTC. It’s not the outright acquisition that many predicted, and nor is it a wholesale sell-off of the HTC smartphone team. Instead, the deal – though couched in the usual “testament to the decade-long strategic relationship between HTC and Google” hyperbole – seems more akin to a hybrid talent-grab and bailout, dressed as cooperation. Here’s what you need to know. HTC will still be a separate company, even after the agreement between it and Google closes in early 2018. The phone-maker will continue to have its own staff, largely unchanged it appears, and it’ll have its own “branded smartphone strategy” even amid “a more streamlined product portfolio” as HTC phrases it. The $1.1bn involved in the transaction reflects that: HTC would undoubtedly have wanted significantly more if it had been selling off the whole business. That’s assuming it could even find someone to buy it all. The obvious comparison that many immediately made was Google’s acquisition – and subsequent sell-off – of Motorola. Back in 2012, Google spent around twelve billion dollars on the phone company. Less than two years later, it announced it was selling what remained to Lenovo for about a quarter of that. While many see the whole transaction as a farce, in some ways Google got what it wanted out of its brief period of ownership. 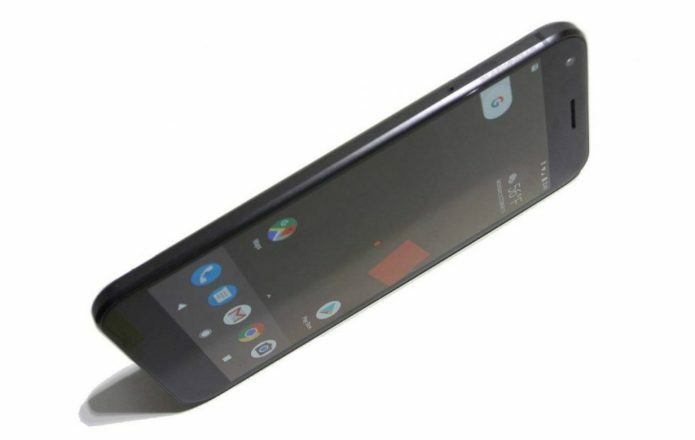 Even as Lenovo took on the handset business, Google retained the majority of the Motorola Mobility patent portfolio, in addition to the company’s team working on more outlandish products. That’s something the search company has leveraged in recent years as it shores up legal and technological protection against potential IP attacks from Apple and others. When it comes to HTC, not only are the numbers considerably smaller, but the talent transfers too. Google is grabbing a selection of HTC’s phone team working on Pixel devices but not the whole thing; it’ll get a non-exclusive license for HTC’s technology, but not the patents themselves. Considering they’re the two areas Google was likely most interested in – and that it probably didn’t want all of HTC’s legacy businesses to be bothered with – it sounds like not only a good deal for Google but that the company learned from some of the Motorola headaches. Despite reports to the contrary, Google hasn’t acquired the whole HTC phone division. Instead, it has selected certain staff – currently the specific number is unknown – many of which who have already been working on the Google Pixel project. They’ll leave HTC and join Google’s ranks. The result is that HTC will still be making its own phones, complete with its own branding. That includes a follow-up to the U11, which is currently in the pipeline. With some of the cash the deal brings in, meanwhile, it’ll also be able to invest in other segments. HTC says that’ll include Internet of Things products, augmented reality, and artificial intelligence. They’re all areas HTC’s competition are diving heavily into, but which HTC has lacked the funds to effectively compete in. Given Google’s push into virtual reality and augmented reality with products like Daydream and Tango, the expectation was that HTC VIVE would be an alluring cherry the search giant would want to pluck. Instead, the virtual reality platform remains solely HTC’s preserve moving forward. That comes as HTC prepares to double-down on the technology with a standalone headset expected to be the VIVE Focus. Why might that be the case? Rumors back in August suggested that HTC was entertaining the possibility of selling off VIVE or alternatively spinning it into its own, standalone business. Sources at the time also suggested that a wholesale purchase of HTC by a new suitor was looking unlikely, since its businesses are so diverse and as such finding the perfect fit near-impossible. HTC has had a growing problem for several years now. The company has made some great smartphones, but it struggles to get attention amidst its more vocal competition. The HTC U11, launched earlier this year, is a good example: it’s widely considered to be one of the phone-maker’s strongest devices ever, but with availability on just a single US carrier it’s overshadowed by the bigger marketing budgets of rivals like Apple and Samsung. It needed a war chest, and now it has one. $1.1bn sounds like a lot, though HTC will need to spend it wisely: it has to help not only offset underwhelming sales as the company builds its next range of devices, but also pay for the marketing push those devices will require in order to simply break through to consumers’ attention. That isn’t going to be cheap. And, I suspect, this will be the last time Google is inclined to wade in and open its wallet. Now that the search giant has what it wanted – the Pixel expertise and access to HTC’s patent and technology portfolio – there’s no real motivation to prop the company up again in future. This isn’t game-over time for HTC, far from it, but the company needs to demonstrate that it can indeed stand on its own feet, and this might be the final chance it has to do that.